Today we here at URR have embarked on a quest into an as-yet-unexplored direction for us. Let me preface this by saying that it is the latest in a line of projects the like of which we derived our name (UnRulyRecursion) and slogan (Recursion of projects into projects). First we drank and enjoyed beer. Life was good. Then, we were introduced to the exciting atmosphere of trying new beers, most of which were on draught, at TacoMac with some of our friends every Thursday night for Pint Night. That has, and continues to be, awesome. At the beginning of this semester, we thought about taking the logical next step, but it wasn’t until we actually had kegs lying around from our birthday party that we needed to keep cold, that we decided to build a kegerator. That is/was an awesome project, and you can see our original post here, and our updates and progress here. But we couldn’t stop there. As we were enjoying our hard work, we noticed that by far cider was the most popular drink; the torpedo keg ran dry in less than a month! Of course we had some help from our friends, but some quick calculations easily show that we wouldn’t be able to sustain that sort of drinking volume financially (we do take donations of course, and may institute some sort of voting on what goes on tap later…in another project). So we started looking for alternatives. 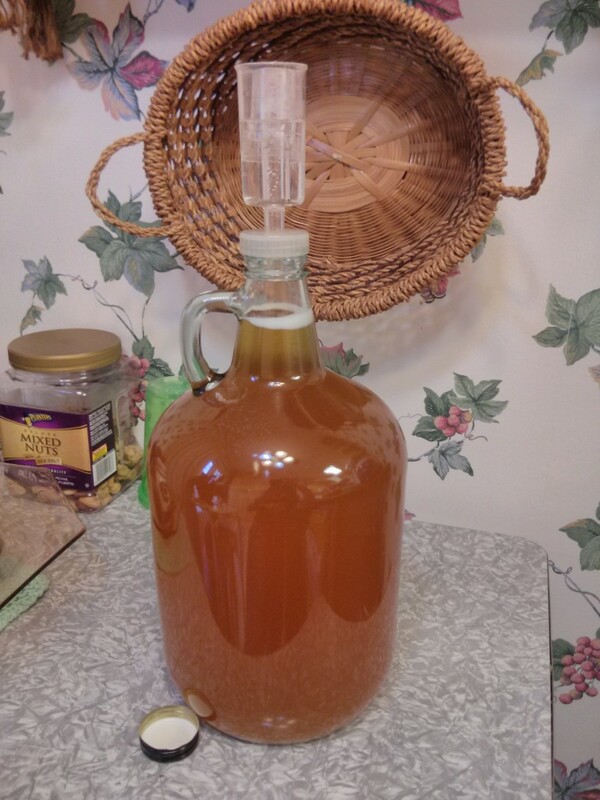 That brings us to our latest project, actually trying our hand at making hard cider. It turns out that brewing your own can be much more cost effective, and also give you the flexibility to tweak the recipe to your liking. Our grandfather is our guiding pro, as he has been making fruit wines for…well…a long time. 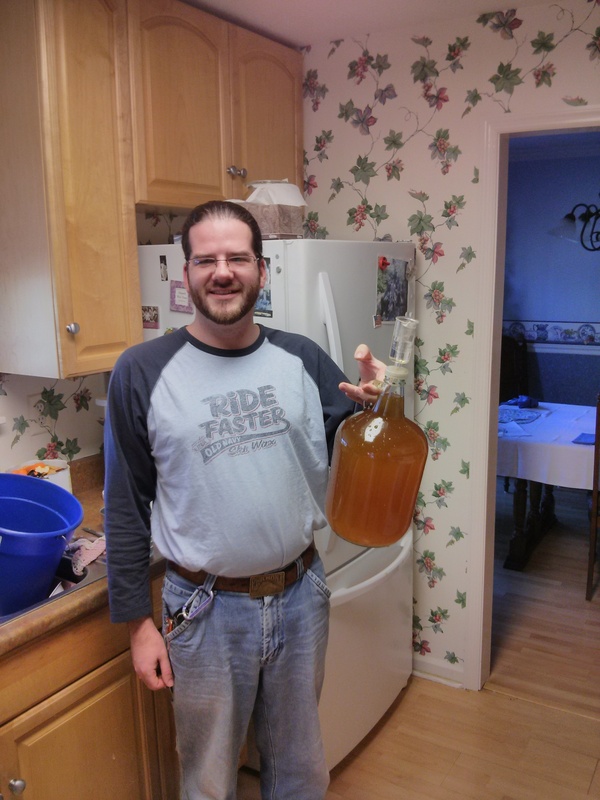 We will be working with him to craft a cider that, if it turns out anything like what we think it will, we will have on tap in the kegerator, and quite possibly available in bottles. EDIT: the recipe calls for 2 cans of apple juice, bu we actually used 3 cans. We can’t leave you guys with no pictures, so here are two!